Enter your UGA MyID and password. You can verify your ID with the Duo Mobile app, a text message or a phone call to your Duo-enrolled phone or tablet. You can enroll a phone or tablet through the Self-Service Portal. You can find instructions for enrolling devices on the Help Desk site. The Law Library used a contest in the February issue of our Amicus Briefs Newsletter to find a new name for our podcast. Thanks to law student submissions, the podcast now has a new name: On Reserve. The winning name was submitted by law student Ben Durfee. 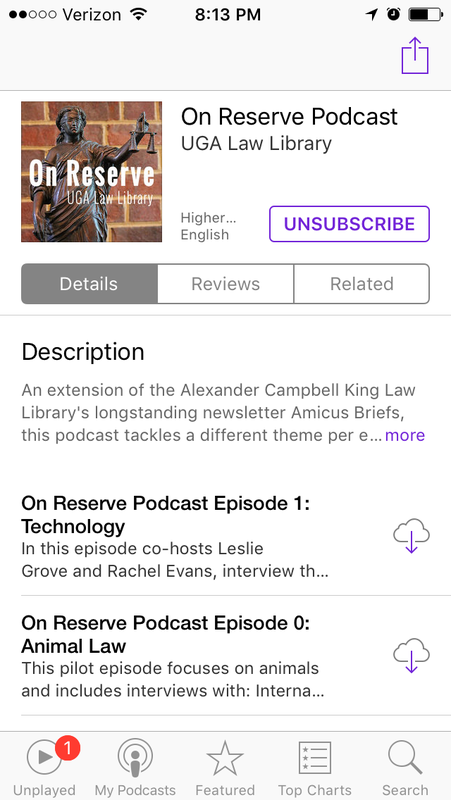 Stream and share from the law library's YouTube: On Reserve Podcast Playlist. If truth is stranger than fiction, these movies prove it can also be more powerful and inspiring. 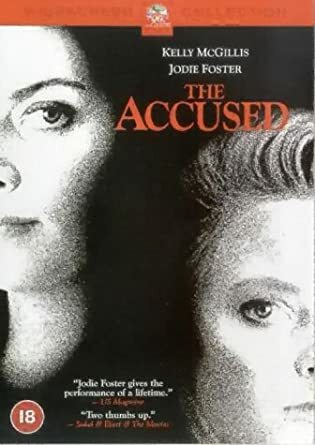 In honor of Women’s History Month, we’ve rounded up DVDs surrounding strong women who sought justice no matter how many obstacles were put in their way. 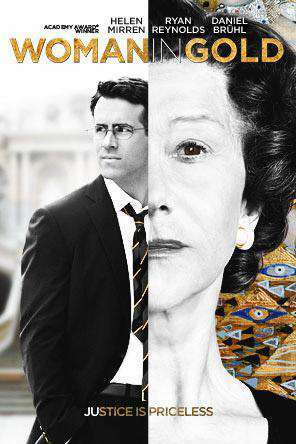 The film is based on the true story of Maria Altmann, an elderly Jewish refugee, who, along with her young lawyer, Randy Schoenberg, fought the government of Austria for almost a decade to reclaim Gustav Klimt's iconic painting of her aunt, Portrait of Adele Bloch-Bauer I, which was stolen from her relatives by the Nazis in Vienna just prior to World War II. When Melody is wrongfully convicted of selling narcotics, instead of pleading guilty she risks serious prison time to fight against a system that has been harassing her community for years. What begins as a story about a single mother struggling to keep food on the table, turns into a tale about a woman fighting for an underprivileged community against a major company. After a traumatic experience, Sarah Tobias acquires the help of attorney Kathryn Murphy to find justice and in the process brings national attention to horrors that too many women have faced. 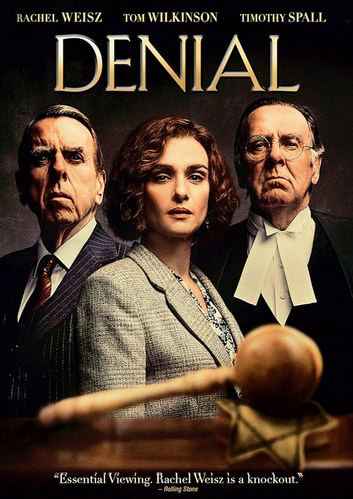 This movie follows the Irvin v Penguin Books Ltd case, in which Deborah Lipstadt, a highly respected Holocaust scholar, was sued by Holocaust denier David Irving for libel after she accused him of being a liar. While the trial is moving forth, not only must Lipstadt fight for her reputation but for the very existence of one of the worst tragedies in history. 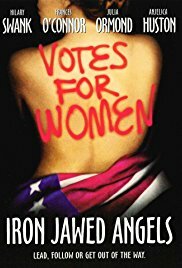 This movie tells the true story of how defiant and brilliant young activists Alice Paul and Lucy Burns took the women’s suffrage movement by storm, putting their lives at risk to help American women win the right to vote. On Wednesday March 28 at noon in Clasroom A law students are invited to experience a demo of Casetext by student Rebecca Wackym and law librarian Maureen Cahill. The event will include a free lunch for students and a chance to sign up for free access to Casetext. 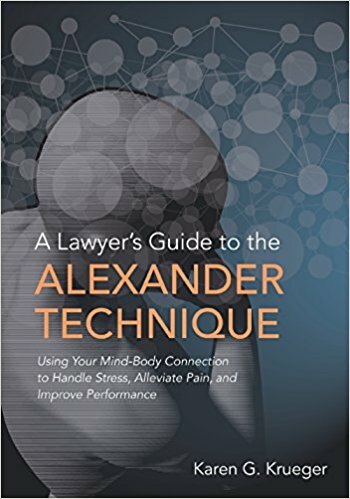 The product is quickly catching on for both law students and legal professionals to help "navigate precedent with unprecedented ease". It uses the latest data science and AI technology, backed by expert insights from leading litigators to improve legal research for users. It also features a virtual legal research assistant, CARA, which allows you to drag-and-drop a brief for analyzing your document, then algorithmically querying the law to find you the best matched cases. Casetext also boasts free access to the law with over 10 million cases, statutes, and regulations, updated daily, as well as articles and commentary from leading litigators. Law students can sign up for free access to Casetext at https://info.casetext.com/lawschool/. Just register with your university email address. Impress your future employers and improve your legal research game with Casetext by attending this lunch and learn session later this month. Spring Break is the perfect time to kick back, relax and do some fun reading that doesn’t require a two hour limit. 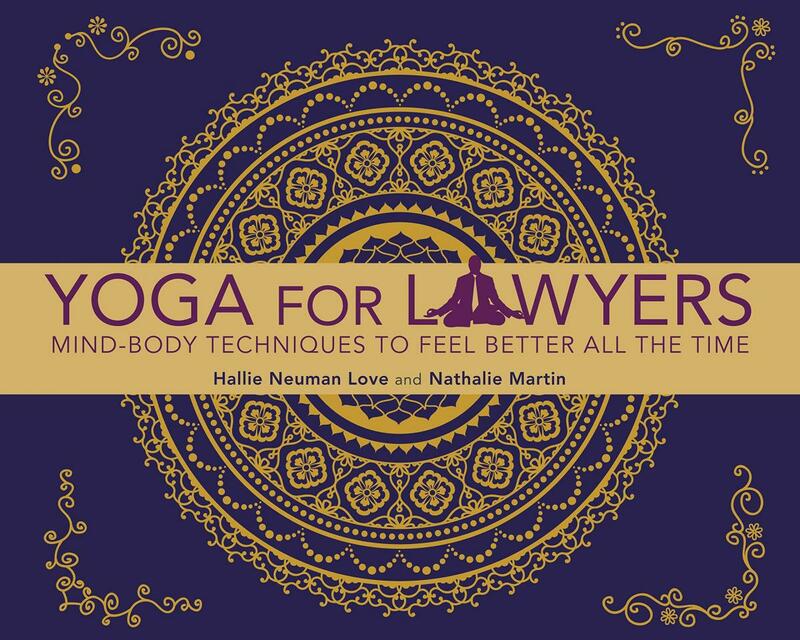 I asked some of our hardest working alumnae and faculty from the School of Law what books they recommend reading while catching some rays. I have a light/easy read contribution: Rooster Bar by John Grisham, and I am currently reading Deep Work: Rules for Focused Success in a Distracted World by Cal Newport. I’m getting ready for a long air flight to Greece so I needed a page-turner. I’m taking The Woman in Cabin 10 with me to keep me occupied, plus a couple of travel guides. Some of my favorite books recently are Educated by Tara Westover Political Tribes by Amy Chua Locking up Our Own by James Forman Jr. The Power by Naomi AldermanThe Wisdom of Finance Mihir Desai Doughnut Economics by Kate Raworth American Wolf by Nate Blakeslee Dreamland by Sam Quinoines Feel Free by Zadie Smith. One of the best books I’ve read lately is Sing, Unburied, Sing by Jesmyn Ward. I also recommend A Super Sad True Love Story by Gary Shteyngart, which is a fun (and not really super sad) look at life in a digitally-enhanced near future. A great read for those who can’t actually get to the beach is Barbarian Days: A Surfing Life by William Finnegan. It’s a lovely memoir about a life of surfing, and winner of the 2016 Pulitzer in biography. Right now I’m working on The Secret Life of the Mind: How Your Brain Thinks, Feels and Decides by Mariano Sigman (a work-ish one) and The Righteous Mind: How Good People are Divided by Politics and Religion by Jonathan Haidt (also work-ish). For fun: The Dialogues: Conversations about the Nature of the Universe by Clifford Johnson (quantum physics as comic book type conversation). For a spring break read, I recommend Praying for Sheetrock by Melissa Faye Green- a Georgia author and a true legal tale set in SEGA to evoke the beach- Shark Dialogues by Kiana Davenport- an epic tale of several generations of Hawaiian women. I am currently between Never Split the Distance by Chris Voss, Bring up the Bodies by Hilary Mantel, and Robert Caro's The Means of Ascent. For Spring Break, I recommend to start with Robert Caro's Path to Power and Mantel's Wolf Hall. This month’s Law Dawg is Niko, whose person is 3L Collier McLeod. Niko is a 7 year-old “All-American mutt” who was found at 10 weeks old in 2011 and taken to the Gwinnett County Animal Shelter. A family adopted him but, upon becoming homeless in May 2017, they surrendered him back to their local animal shelter. Two Tailz Rescue pulled him from the shelter (he was “urgent” because of his age) and Collier adopted him last August. 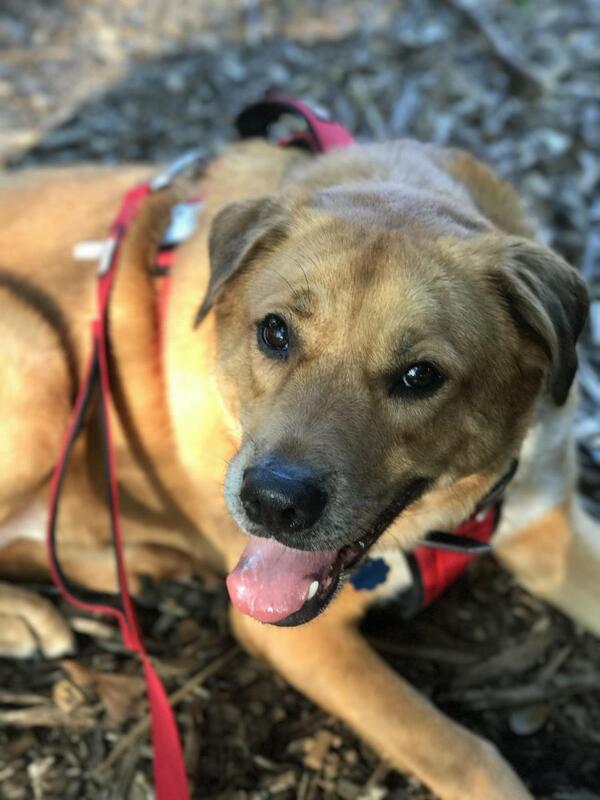 During their first months together, Niko struggled with anxiety whenever Collier left the house, but with a lot of time and love, his confidence returned. Niko loves his daily walks on Milledge, his favorite toy “Baby Squirrel” and taking naps!